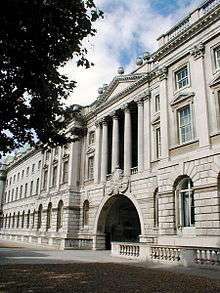 In the United States "college" refers to a constituent part of a university, but generally "college" and "university" are used interchangeably, whereas in the United Kingdom, Oceania and South Asia, "college" may refer to a secondary or high school, a college of further education, a training institution that awards trade qualifications, a higher education provider that does not have university status (often without its own degree-awarding powers), or a constituent part of a university (See this comparison of British and American English educational terminology for further information). an institute providing specialised training, such as a college of further education, for example Belfast Metropolitan College, a teacher training college, or an art college. There has also been a recent trend to rename or create government secondary schools as "colleges". In the state of Victoria, some state high schools are referred to as secondary colleges. Interestingly, the pre-eminent government secondary school for boys in Melbourne is still named Melbourne High School. In Western Australia, South Australia and the Northern Territory, "college" is used in the name of all state high schools built since the late 1990s, and also some older ones. In New South Wales, some high schools, especially multi-campus schools resulting from mergers, are known as "secondary colleges". In Queensland some newer schools which accept primary and high school students are styled state college, but state schools offering only secondary education are called "State High School". 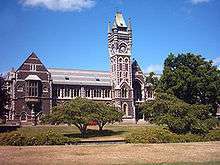 In Tasmania and the Australian Capital Territory, "college" refers to the final two years of high school (years 11 and 12), and the institutions which provide this. In this context, "college" is a system independent of the other years of high school. Here, the expression is a shorter version of matriculation college. Some senior high schools also refer to themselves as colleges. The term "college" also applies to distinct entities within a university (usually referred to as "federated colleges" or "affiliated colleges"), to the residential colleges in the United Kingdom. These colleges act independently, but in affiliation or federation with the university that actually grants the degrees. For example, Trinity College was once an independent institution, but later became federated with the University of Toronto, and is now one of its residential colleges (though it remains a degree-granting institution through its Faculty of Divinity). In the case of Memorial University of Newfoundland, located in St. John's, the Corner Brook campus is called Sir Wilfred Grenfell College. Occasionally, "college" refers to a subject specific faculty within a university that, while distinct, are neither federated nor affiliated—College of Education, College of Medicine, College of Dentistry, College of Biological Science among others. International Association of "Tourists and Travelers" College. International association "tourists and travelers" is a non-commercial, non political and non industrial organization, which is created to develop tourism in Georgia. The Centers of Post-Lyceum(secondary) Education (abbreviated KEME in Greek, also can be referred to as Colleges), belong to the Greek Post-secondary Education and are principally private and have some link with foreign (mainly from the EU, but also from the US) higher education institutions or accreditation organizations. The word 'college' is also used to denote some [private] non-tertiary schools. There are number of secondary education institutions that traditionally used the word "college" in their names: these are either older, private schools (such as Belvedere College, Gonzaga College and St. Michael's College) or what were formerly a particular kind of secondary school. These secondary schools, formerly known as "technical colleges," were renamed "community colleges," but remain secondary schools. The country's only ancient university is the University of Dublin. Created during the reign of Elizabeth I, it is modelled on the collegiate universities of Cambridge and Oxford. However, only one constituent college was ever founded, hence the curious position of Trinity College, Dublin today; although both are usually considered one and the same, the University and College are completely distinct corporate entities with separate and parallel governing structures. The state's two new universities Dublin City University and University of Limerick were initially National Institute for Higher Education institutions. These institutions offered university level academic degrees and research from the start of their existence and were awarded university status in 1989 in recognition of this. A number of state funded further education colleges exist - which offer vocational education and training in a range of areas from business studies, I.C.T to sports injury therapy. These courses are usually 1, 2 or less often 3 three years in duration and are validated by FETAC at levels 5 or 6 or for the BTEC Higher National Diploma award - validated by Edexcel which is a level 6/7 qualification. There are numerous private colleges (particularly in Dublin and Limerick) which offer both further and higher education qualifications. These degrees and diplomas are often certified by foreign universities/international awarding bodies and are aligned to the National Framework of Qualifications at level 6, 7 and 8. Training College: A "Training College" is an educational facility that provides basic training for person that would allow to a person to receive a working permit in a field such as alternative medicine, cooking, Art, Mechanical, Electrical and other professions. A trainee could receive the right to work in certain professions as apprentice (j. mechanic, j. Electrician etc.). After working in the training field for enough time an apprentice could have a license to operate (Mechanic, Electrician ) . This educational facility is mostly used to provide basic training for low tech jobs and for job seekers without any training that are provided by the nation's Employment Service (שירות התעסוקה). In the Philippines, colleges usually refer to institutions of learning that grant degrees but whose scholastic fields are not as diverse as that of a university (University of Santo Tomas, University of the Philippines, Ateneo de Manila University, and De La Salle University), such as the San Beda College which specializes in law and the Central Colleges of the Philippines which specializes in engineering, or to component units within universities that do not grant degrees but rather facilitate the instruction of a particular field, such as a College of Science and College of Engineering, among many other colleges of the University of the Philippines. When it comes to referring to the level of education, college is the term more used to be synonymous to tertiary or higher education. A student who is or has studied her undergraduate degree at either an institution with college or university in its name is considered to be going to or have gone to college. In England, as of August 2016, over 60% of the higher education providers directly funded by HEFCE (208/340) are sixth-form or further education colleges, often termed colleges of further and higher education, along with 17 colleges of the University of London, one university college, 100 universities, and 14 other providers (six of which use 'college' in their name). Overall, this means over two thirds of state-supported higher education providers in England are colleges of one form or another. Many private providers are also called colleges, e.g. 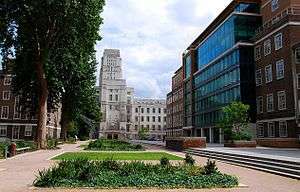 the New College of the Humanities and St Patrick's College, London. The UHI and the University of Wales Trinity Saint David (UWTSD) both include further education colleges. However, while the UHI colleges integrate FE and HE provision, UWTSD maintains a separation between the university campuses (Lampeter, Carmarthen and Swansea) and the two colleges (Coleg Sir Gâr and Coleg Ceredigion), which although part of the same group are treated as separate institutions rather than colleges within the university. In the United States, there are over 7,021 colleges and universities. 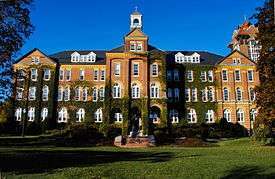 A "college" in the US formally denotes a constituent part of a university, but in popular usage, the word "college" is the generic term for any post-secondary undergraduate education. Americans "go to college" after high school, regardless of whether the specific institution is formally a college or a university. Some students choose to dual-enroll, by taking college classes while still in high school. The word and its derivatives are the standard terms used to describe the institutions and experiences associated with American post-secondary undergraduate education. 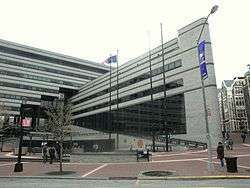 While there is no national standard in the United States, the term "university" primarily designates institutions that provide undergraduate and graduate education. 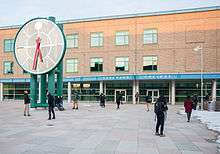 A university typically has as its core and its largest internal division an undergraduate college teaching a liberal arts curriculum, also culminating in a bachelor's degree. What often distinguishes a university is having, in addition, one or more graduate schools engaged in both teaching graduate classes and in research. Often these would be called a School of Law or School of Medicine, (but may also be called a college of law, or a faculty of law). An exception is Vincennes University, Indiana, which is styled and chartered as a "university" even though almost all of its academic programs lead only to two-year associate degrees. Some institutions, such as Dartmouth College and The College of William & Mary, have retained the term "college" in their names for historical reasons. In one unique case, Boston College and Boston University, both located in Boston, Massachusetts, are completely separate institutions. The terms "university" and "college" do not exhaust all possible titles for an American institution of higher education. Other options include "Polytechnic" (Rensselaer Polytechnic Institute) "Institute of Technology" (Massachusetts Institute of Technology), "academy" (United States Military Academy), "union" (Cooper Union), "conservatory" (New England Conservatory), and "school" (Juilliard School). In colloquial use, they are still referred to as "college" when referring to their undergraduate studies. The term college is also, as in the United Kingdom, used for a constituent semi-autonomous part of a larger university but generally organized on academic rather than residential lines. For example, at many institutions, the undergraduate portion of the university can be briefly referred to as the college (such as The College of the University of Chicago, Harvard College at Harvard, or Columbia College at Columbia) while at others, such as the University of California, Berkeley, each of the faculties may be called a "college" (the "college of engineering", the "college of nursing", and so forth). There exist other variants for historical reasons; for example, Duke University, which was called Trinity College until the 1920s, still calls its main undergraduate subdivision Trinity College of Arts and Sciences. Some American universities, such as Princeton, Rice, and Yale do have residential colleges along the lines of Oxford or Cambridge, but the name was clearly adopted in homage to the British system. 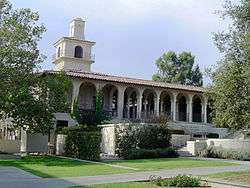 Unlike the Oxbridge colleges, these residential colleges are not autonomous legal entities nor are they typically much involved in education itself, being primarily concerned with room, board, and social life. At the University of Michigan, University of California, San Diego and the University of California, Santa Cruz, however, each of the residential colleges does teach its own core writing courses and has its own distinctive set of graduation requirements. The term college is mainly used by private or independent secondary schools with Advanced Level (Upper 6th formers) and also Polytechnic Colleges which confer diplomas only. A student can complete secondary education (International General Certificate of Secondary Education, IGCSE) at 16 years and proceed straight to a poly-technical college or they can proceed to Advanced level (16 to 19 years) and obtain a General Certificate of Education (GCE) certificate which enables them to enrol at a University provided they have good grades alternatively with lower grades the GCE certificate holders will have an added advantage over their GCSE counterparts if they choose to enrol at a Poly-technical College. 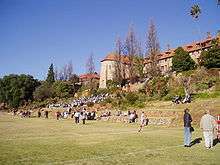 Some schools in Zimbabwe choose to offer the International Baccalaureate studies as an alternative to the IGCSE and GCE. ↑ "college noun (EDUCATION)". Cambridge Dictionary Online. ↑ "Children & families." (Archive) City of Paris. Retrieved on 20 July 2010. ↑ Find a School or School Board search form on the Ministry of Education of Ontario web site—click "Secondary" and "Separate"
↑ "College of Biological Science". University of Guelph. Retrieved 19 June 2010. ↑ "חוק המועצה להשכלה גבוהה" (מל"ג), תשי"ח-1958, רק מוסד להשכלה גבוהה שקיבל את אישור המועצה להשכלה גבוהה יהיה רשאי להשתמש בכינוי "מכללה אקדמית". ↑ "Further education – Colleges and other institutions". Education UK. British Council. Retrieved 28 August 2016. ↑ Keiran Southern (29 June 2016). "Newcastle education group to become first in the country to award its own degree courses". ChronicleLive. ↑ "Overview". Register of HE providers. HEFCE. Retrieved 28 August 2016. ↑ "Get the data". Register of HE providers. HEFCE. Retrieved 28 August 2016. ↑ "Search courses". UCAS. Retrieved 28 August 2016. ↑ R. J. O'Hara (20 December 2004). "The Collegiate System at the University of Durham". The Collegiate Way. Retrieved 28 August 2016. ↑ "The Education (Listed Bodies) (England) Order 2013". Legislation.gov.uk. 27 November 2013. ↑ "The Education (Recognised Bodies) (England) Order 2013". Legislation.gov.uk. 27 November 2013. ↑ "List of institution and campus codes" (XLS). UCAS. Retrieved 28 August 2016. ↑ "About UHI". University of the Highlands and Islands. Retrieved 28 August 2016. ↑ "UWTSD Group". University of Wales Trinity Saint David. Retrieved 28 August 2016. ↑ NCES (September 2013). "Fast Facts - Educational Institutions". Retrieved 6 April 2015. ↑ Masci, David. "Should colleges get back to basics?". CQ Research. ↑ Bidwell, Allie. "Report: High Textbook Prices Have College Students Struggling". U.S. News. Retrieved 2015-02-27. ↑ "A Land-Grant Institution". Dafvm.msstate.edu. 11 August 2009. Retrieved 14 September 2009. ↑ Seth Zimmerman (May 2013). "The Returns to College Admission for Academically Marginal Students" (PDF). Retrieved April 26, 2015. Students with grades just above a threshold for admissions eligibility at a large public university in Florida are much more likely to attend any university than below-threshold students. The marginal admission yields earnings gains of 22 percent between eight and fourteen years after high school completion. These gains outstrip the costs of college attendance, and are largest for male students and free lunch recipients.